Over the next two years Brisbane CBD office market is facing a potential withdrawal of about 170,000 square metres of space which is bound to ease the rising vacancy rate affected by the supply of new office projects in 2016. The withdrawals include plans for residential and hotel conversion and development. Jason Lynch, Director of Capital Markets and Investment Services at Colliers International said that these withdrawals will almost counterbalance the future supply comprising 174 Ann Street (180 Brisbane), 480 Queen Street and 1 William Street which are all estimated for completion in 2016. “We don’t believe the vacancy rate will be increasing as much as previously thought. In 2016 Brisbane CBD will have 188,156 square metres delivered to the market, however it is important to note the quantum of stock withdrawals between now and 2017, when potential 170,000 square metres of office space is expected to be taken out of the market,” said Mr Lynch. “Due to the strength of the residential apartment market in Brisbane and high office vacancy, older or obsolete stock is being converted or redeveloped for residential or hotel use. “We are seeing an influx of private Chinese and state owned developers looking to convert or redevelop the existing office assets for residential or hotel use. “The withdrawals that have recently been confirmed total about 70,124 square metres. The State Government has plans to demolish about 66,000 square metres of office space on George Street to make way for the development of the new Queens Wharf Precinct. These tenants who primarily are government departments are due to relocate to 1 William Street once complete in 2016. “In addition to this, it has recently been released that Singaporean Aspial Corporation is finalising plans to buy the 240 Margaret Street site for residential development. 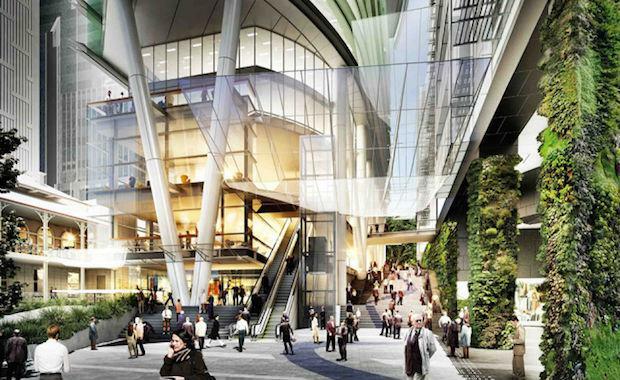 The building has 3,566 square metres of NLA over 6 levels,” said Mr Lynch. Tom Phipps, Director of Capital Markets and Investment Services at Colliers International said there is about 98,000 square metres of office space which could potentially be withdrawn from the market in the next two years. “There are number of major office buildings with pending lease expiries that are targets for conversion or redevelopment. Some examples of this are TFE Hotels planning to convert 171 George Street into a hotel and the potential conversion or redevelopment of 363 Adelaide Street to residential. Mr Phipps said there is another category of future office supply that is now withdrawn from the market. “This category which accounts for about 194,205 square metres includes all mooted office developments that have been changed to residential and hotel use or have been shelved. “Developments such as 150 Elizabeth Street (Regent Tower) and 150 Roma Street (Q Centre 1) totalling 124,250 square metres will not proceed in this cycle. The DA for mixed use development 111 Mary Street and 222 Margaret Street included the 35,000 square metre A-Grade commercial tower, but has been redesigned to give the developers an option to change the use from office to hotel if they are unable to secure a pre-commitment. “In addition to these, the site on the corner of Albert and Margaret Streets which was earmarked for the AM30 development, an 18,000 square metre office tower, is now proposed to be used for a residential apartment development."